The Skill Trees mod is a small mod that adds an easy way for modders to implement and add skill trees to their mod and aims to provide maximum customizability should the default look not suit your needs. This mod also provides methods for skill tree makers and other modders to check if certain skills are obtained. This mod does not add skills into the game itself. If you would like to be a part of a mod that will, check this post out. And post to the forum here . By default, there are two types of skills and attribute skills. Attribute skills make it easy to affect the player's attributes. As long as the skill is active and the player has this skill, the player's stats will be changed (i.e. Double damage, natural armor, speed, etc). These changes can be viewed in the Player Info Tab (Note: this tab will show all modifiers currently affecting the player). The base skill does not do anything much on its own but can be used as a requirement to do something (i.e. 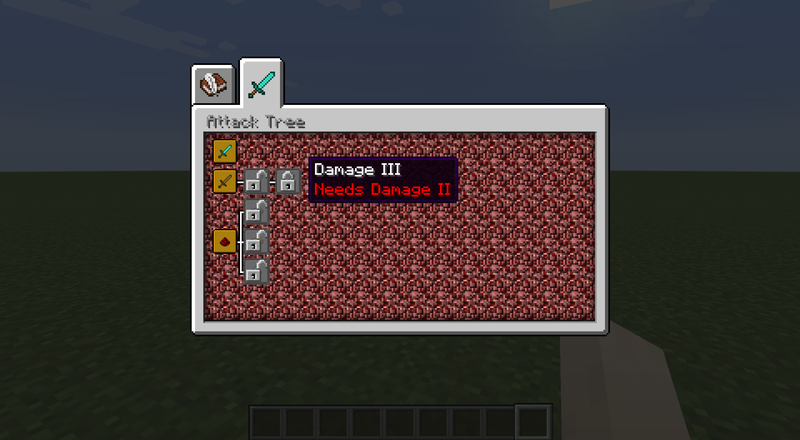 craft swords and other items, use certain tools and weapons, interact with mobs, etc). Modders can also choose to do something special when the skill is obtained or removed (give or take an item from player an item, code particle effects, etc). Skills can also be made to be togglable so that their effects aren't constant. A skill can also be made tickable, meaning you can have something happen every 20 ticks (1 second) the skill is active (night vision, underwater breathing, fire resistance, mana use, etc). Skills can also be linked to each other. So you can require having a certain skill before obtaining a more powerful skill or useful skill down the line. The skills can branch out into multiple trees... skill trees! A line will automatically be drawn between each connected skill. 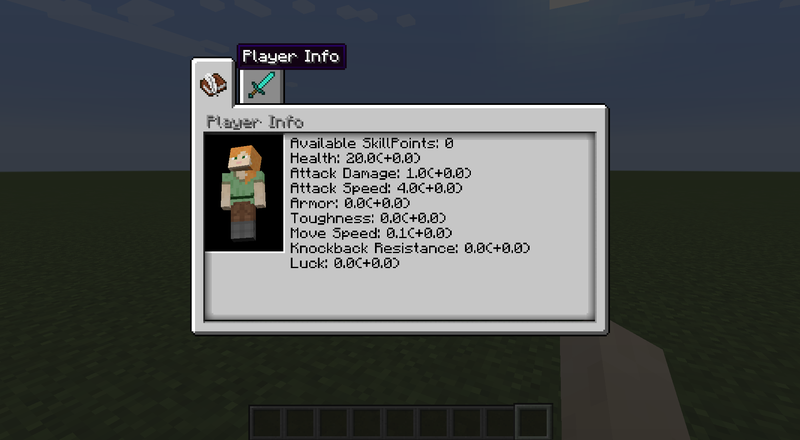 By default, this mod does not add any items to the game that give the player skill points. However, it does provide methods for doing so in the API and a base Item.class called ItemSkillPoint that will give the player a number of skill points. How you want the player to get skill points is up to you! By default, you can view your skill trees by pressing 'k' (you can change this in settings). You'll be taken to the last viewed page or the Player Info Page. There are serval default backgrounds (the same as advancements) and an option to use your own. You can discern several pieces of information at a glance: whether or not you have the skill, if you have the requirements to get a skill, if it is active, and the skills parents. If a skill does not have a lock on it, you have already obtained that skill. If a skill has an unlocked lock, it means you are able to buy it, while a skill with a locked lock means its locked. An inactive skill is grey and an active skill is orange. Connected skills are connected with a line (the line can go either way; you do not need to place skills from right to left, you can place them in any format). You can get more info about a skill by hovering over it. 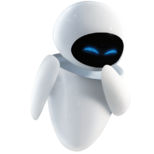 That will display its name, requirements, and description (all of these can be defined in the lang file). By default, unfulfilled requirements are displayed as red and fulfilled requirements are green, names of obtained skills are yellow and unobtained are white, and descriptions are white (these can be changed at creation). To purchase a skill, simply click on it. The skill will become active once the skill is purchased. (Note: Once you click a skill, if you could have purchased it, you will!) If the skill is already purchased and the skill is togglable, then clicking it will toggle it instead. By default, skill trees are kept on death. You can change this in the config. (I have included my EasyConfig class in the mod, feel free to use it!). Skill Requirements are very important because without them you would just be able to buy all the skills. There are 5 default requirements, but you can create your own easily by implementing ISkillRequirment. The first two added are the Name Requirement and Description Requirement. These two add names and the description to the Skill Tooltip and are automatically added and created for by default. There are a few methods to interact with them, but you will most likely not need them unless you are creating skills that act differently than the default. The next most common one is the parent requirement. This automatically created and added to the skill for you. The last two are Skill Point Requirement and Level Requirement. Ther former requires a certain number of skills points that are consumed when purchased, and the latter is the same but for levels. This mod adds commands to interact with the skill tree. Currently, there are 4: reset, addPoints, give and remove. Type "/sk" for usage. Most arguments can be tabbed completed. This mod should be fully server compatible and has been tested. If any bugs are found please report them to the GitHub below. For Documentation and an example Skill Tree and the soruce, visit the Github here. So it's for modders? That's neat!